The Solid Crystal Soccer Ball resting on solid crystal pedestal. Available in different sizes, great gifts and awards with many ways to personalize via etching.. 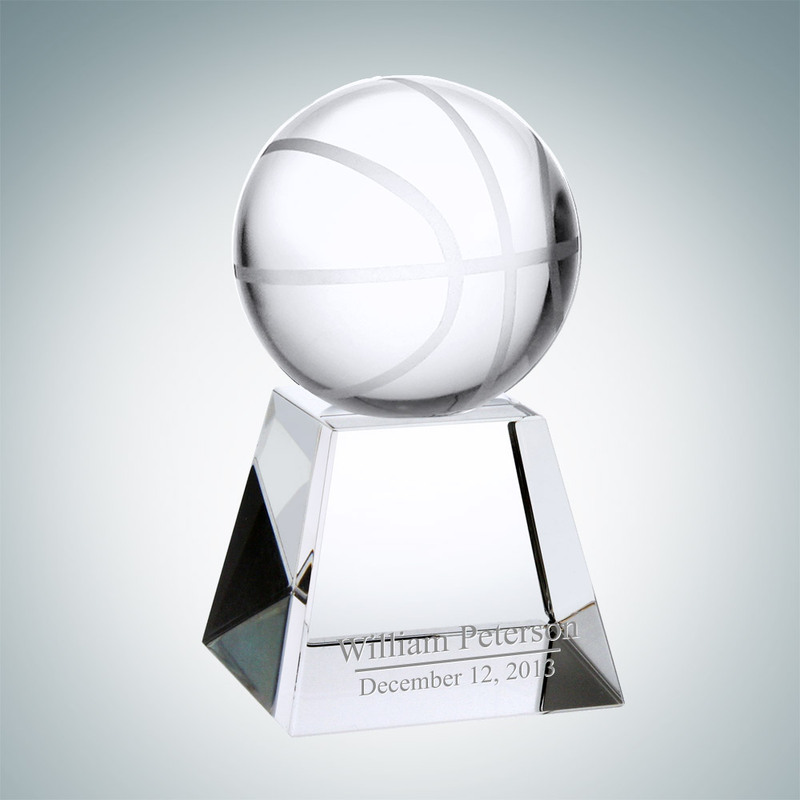 The Solid Crystal basketball resting on solid crystal pedestal. Available in different sizes, great gifts and awards with many ways to personalize via etching.. 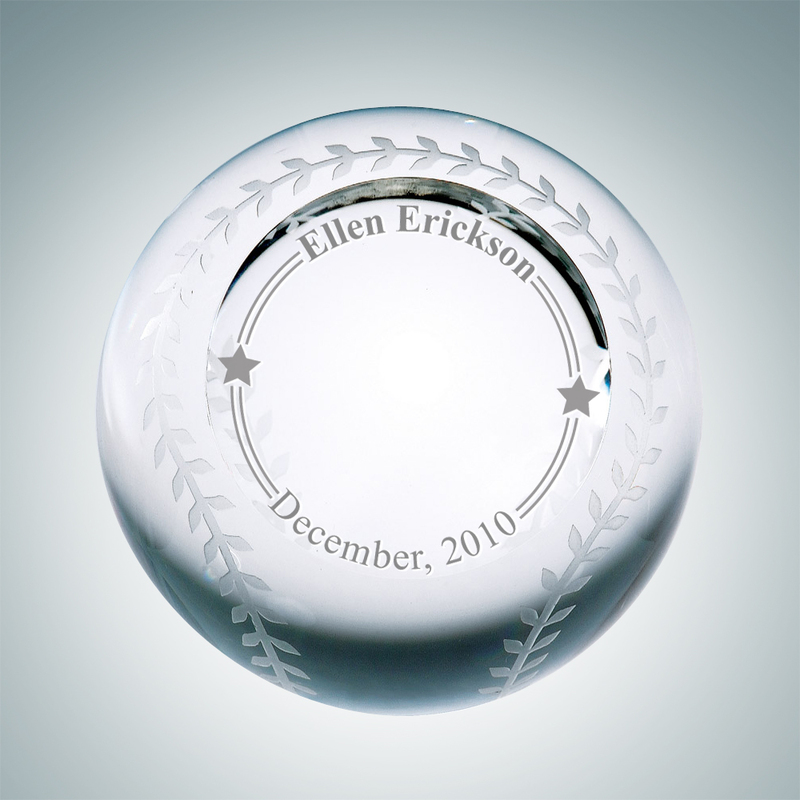 This gorgeous crystal award would be appreciated by any baseball player The Slanted Face Baseball Crystal Trophies features a clear crystal sphere with stitching and a flat face ready for your engraving and the base is slanted to keep the ball stationary.. The Male Golfer Thriving Award is perfect for anyone that thrive in their field of profession. 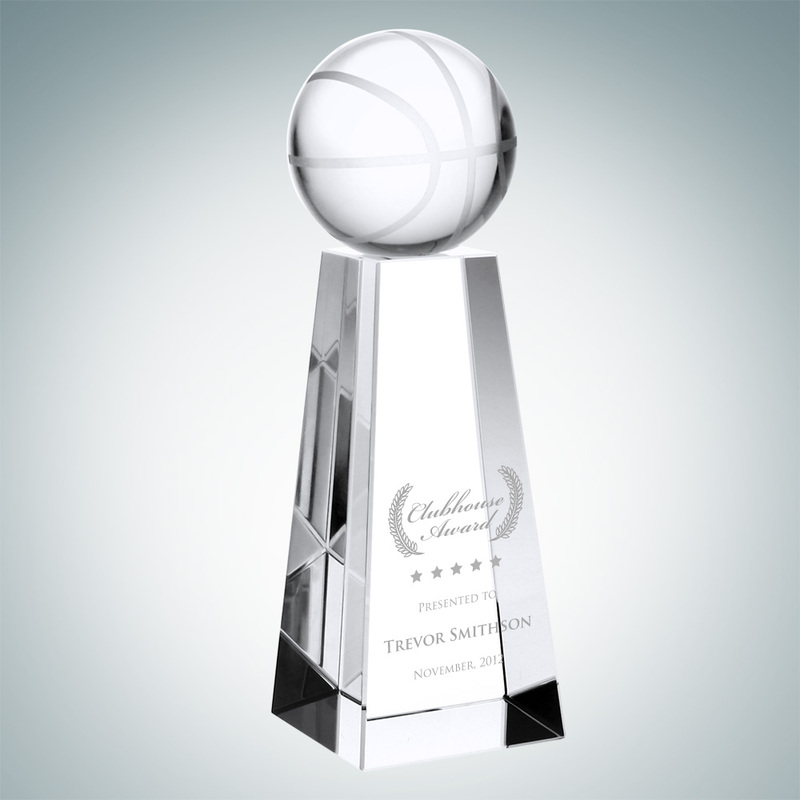 The male golfer thriving award can be personalized with logo, name, and message. Available in two sizes; small and large.. 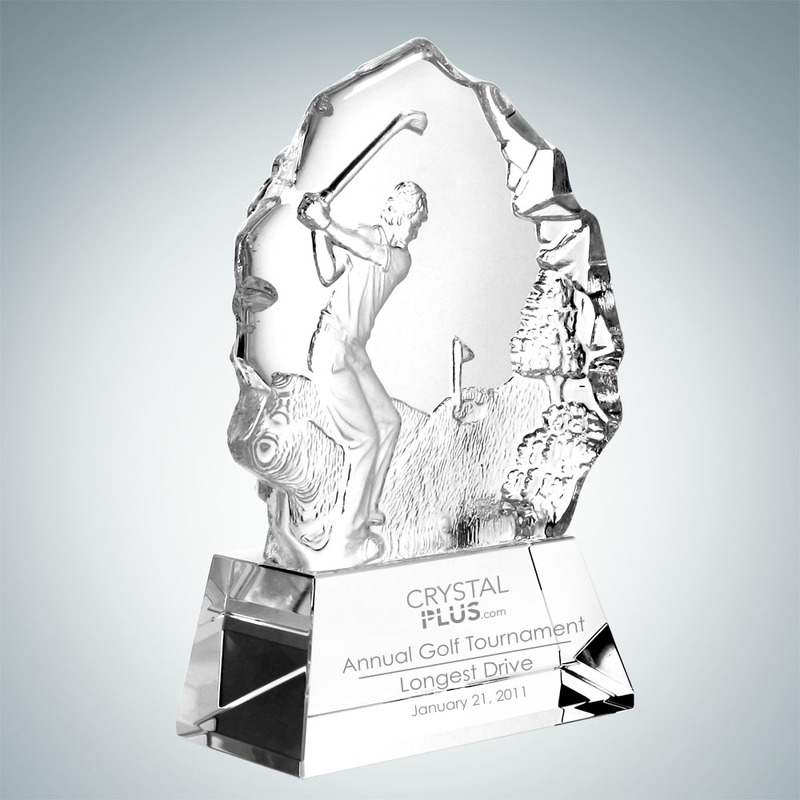 This is the 1/2″ thick Jade Glass Golf Pinnacle Award with Slant Edge Base. All of our jade glass awards are hand cut and polished to perfection. Great for corporate and recognition events, jade glass awards can be personalized with your logo and text. Available in three sizes; 6-1/2″, 8-1/2″ and 10-1/2″ height.. 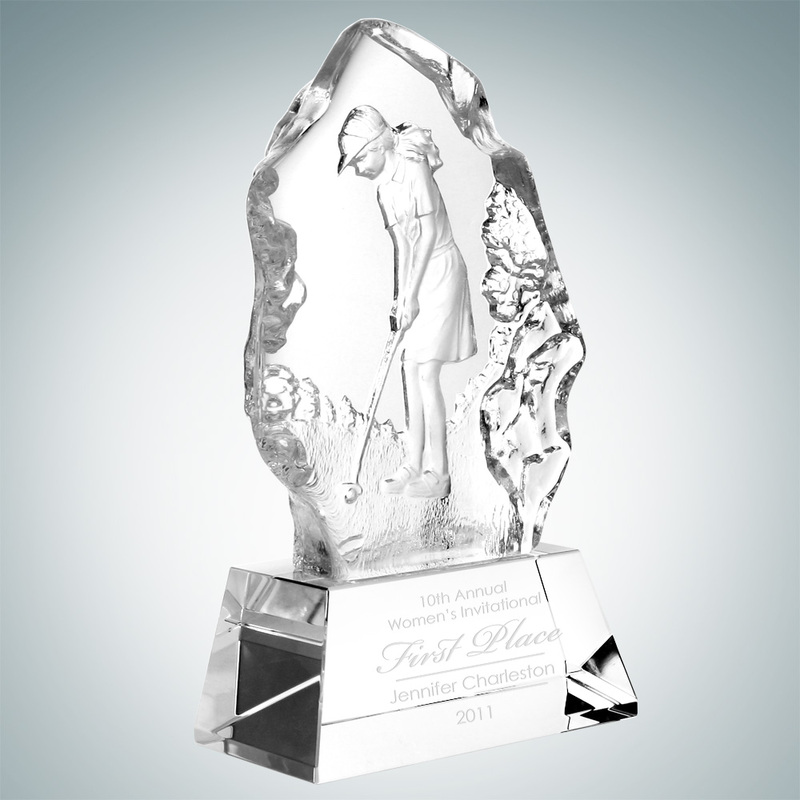 The Male Action Golf Award features an iceberg shape piece on a base with a male golfing figure etched on the iceberg. 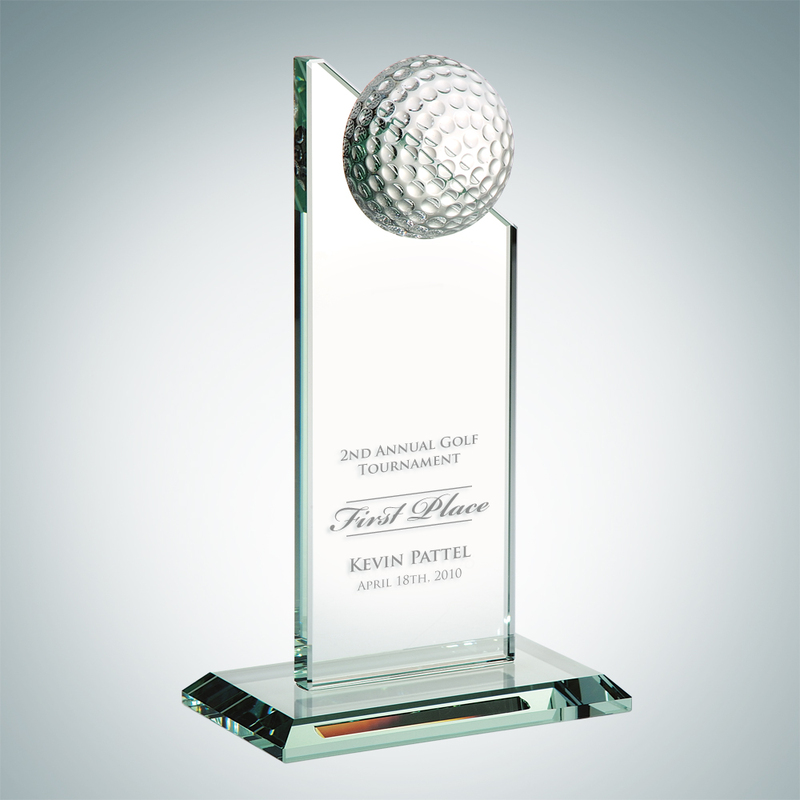 The male action golf award can be personalized with logo, name, and message. Available in two sizes; small and large.. 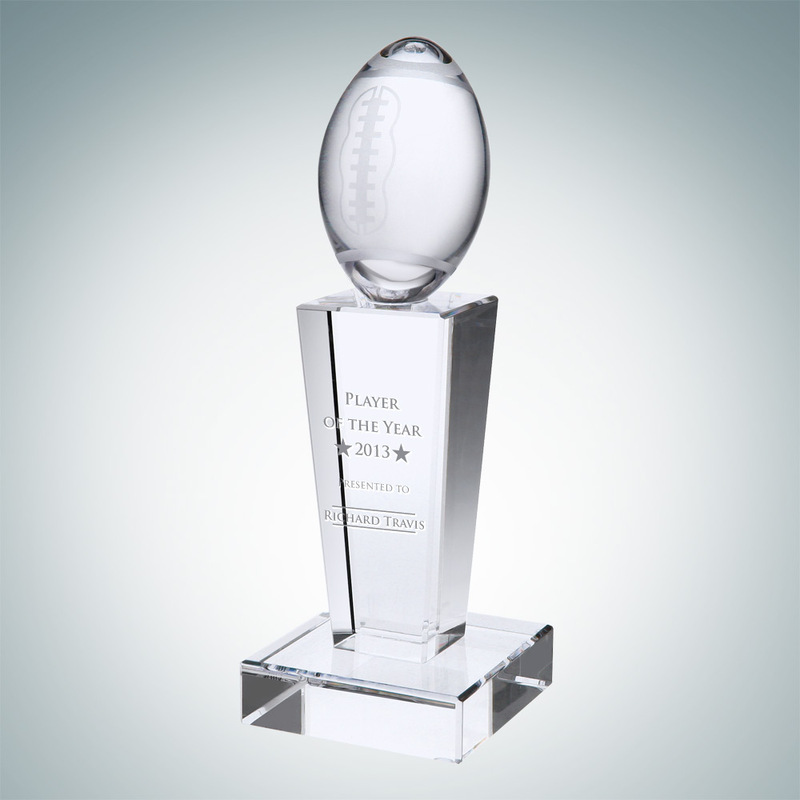 The Optic Crystal Football on Pedestal Award has great optical detailing that will be fun to give and look great on any desk or shelf. Also a great gift for the best coach you ve ever had This beautiful light-catching award will last for years. Available in three sizes; 8-3/8″, 9-1/2″ and 11″ height.. 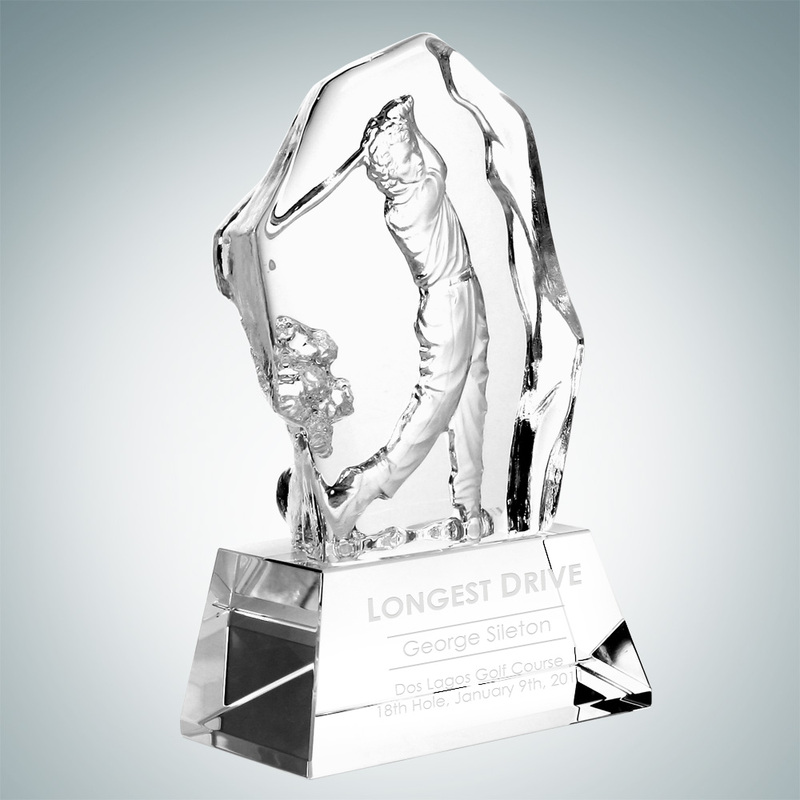 The Female Putter Award features an iceberg shape piece on a base with a female golfing figure putting etched on the iceberg. The female putter award can be personalized with logo, name, and message. Available in two sizes; small and large..